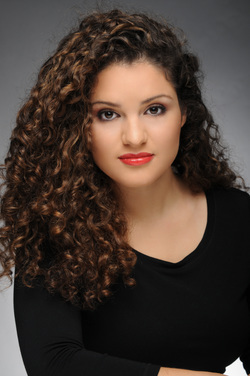 Amanda Enriquez received her Bachelor of Arts in Sacred Music with a minor in Drama from Franciscan University of Steubenville. She then attended East Carolina University, completing her Master of Music in Vocal Performance with a concentration in Vocal Pedagogy. Ms. Enriquez’s experience and education has garnered familiarity with a wide variety of musical styles. Her experience in sacred music fostered a love for early music performance practice, Gregorian chant, and sacred polyphony. Prior to her education in classical voice, she trained and performed extensively in musical theatre and other contemporary, non-classical styles. She has worked professionally as a studio singer, party band vocalist, Latin band vocalist, and contemporary worship singer. ​Ms. Enriquez is a Tampa native. She began her classical voice training with Blake Leopold, and since then has studied with Dr. Alanna Keenan, and Dr. Jami Rhodes. She is a member of the National Music Honor Society, Pi Kappa Lambda, as well as the National Association of Teachers of Singing.